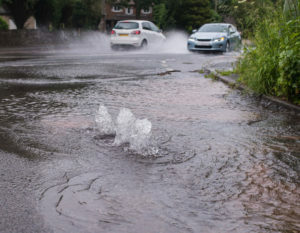 The thought of needing emergency water damage restoration is one that seems to occur more frequently for residents of Gainseville, Florida, as storm runoff becomes an increasing problem. Mother Nature isn’t always kind, and the flooding that happens after heavy rains needs to be dealt with quickly to avoid health issues and structural damage. After water extraction has taken place, cleaning and sanitizing strategies are used to ready your home or business for restoration to pre-flood condition. What Is Emergency Water Damage Restoration? Emergency water damage restoration is designed to assist home and business owners in getting their buildings and possessions back to normal. These services include water extraction, cleaning, sanitizing, and repair/restoration. When the damage involves a large area, you might need to consider having certain items replaced rather than repaired. This is particularly true when the flood water has taken over a large portion of your home or has taken days to clean up. For example, if the drywall is severely damaged or wooden support beams have begun to rot, both of these components will require replacements rather than repairs. Unfortunately, carpeting often needs to be replaced when water damage has occurred. Whenever possible, water extraction is recommended and utilized to restore the carpeting to useable condition. Typically, however, the padding cannot be saved, particularly if black water is involved. How do you know if you should have an item repaired or replaced? If cleaning and sanitizing doesn’t eliminate odors and stains, it is more than likely that you’ll need to choose replacement. Look at the item in question. If it upsets you to do so, then you should probably replace it. When in doubt, simply ask the team of specialists who’ve come to your home to complete emergency water damage restoration.